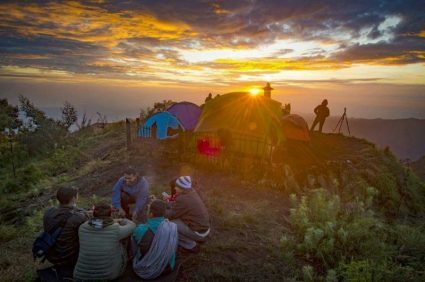 Tour Package Mount Bromo 2 Days 1 Night is a package mount bromo which is intended for 2 days bromo mountain tour consisting of 4 most beautiful location in bromo mountain that is Sunrise from Penanjakan, Bromo Crater, Teletubies hill / Savanna and Whispering Sand. Mount Bromo is also famous for the night tours of the beauty of Milky way Mount Bromo which can be seen from the Sea of Sand or from Mount Penanjakan Bromo. 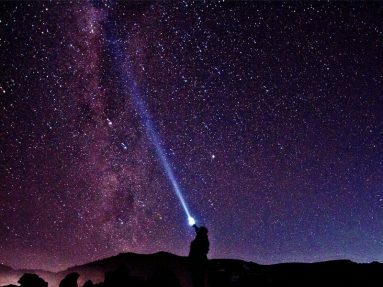 Not only the sunrise, Bromo Crater, desert, savanna, teletabies hill, sand whisper, which can be enjoyed in the bromo mountain but there are some other beauty that is still not known by many tourists namely the beauty of the sunset and the beauty of milky way at Mount Bromo. Pick up you at Surabaya Airport or at place the agreed upon. Directly to go to Cemoro Lawang village ( the last village in Bromo area) for about 3 hours driving. Arrive in cemoro lawang village stay overnight. The nearest place to see Mount Bromo and sea of sand. Arrival at Bromo Mountain, check in Hotel and free program. Bromo sunrise tour at 3:00 am our team will take you to see the beauty of sunrise from the point of view ( Penanjakan ) 1 with Jeep Bromo. Enjoy the beautiful sunrise and surroundings. You will see the beautiful sunrise against the background of Mount Semeru and Mount Bromo, Mount Batok. Back to the Jeep and continue to Bromo crater through a sea of ​​sand to jeep parking area, from there you can by walking or horse horse to the top of Bromo crater. Travel about 30 to 60 minutes ( conditional ). After exploring the beautiful Bromo crater, return to the Jeep parking area and return to the hotel for breakfast, a shower and a short break. After packing and check out from hotel then go to madakalipura waterfall ( conditioned the first day / last day ) and than return to Surabaya ( Train Station / Airport / Hotel ) and tour is complete.